Doris Jean Godwin was born August 14, 1953 to the late Will Robertson & Alberta Stephens. She departed this life on March 30, 2019. 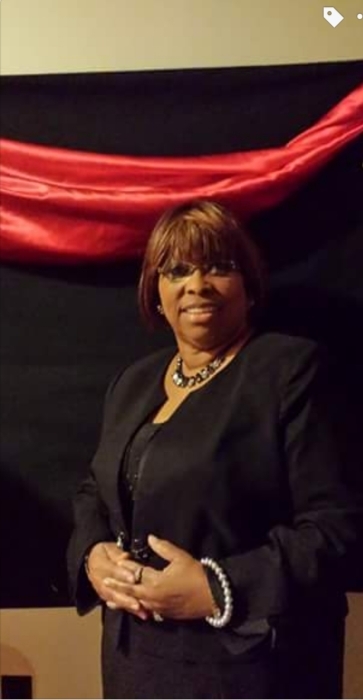 Her funeral service was held on Saturday April 6, 2019 at 12:00 pm at Rivers of Life Int'l Ministries with Bishop Manuel Donis in charge. Burial was in the church cemetery and Dixie Funeral Home (www.dixiefuneralhome.com) was in charge of the professional service. Doris attended Bolivar Industrial High School and was a graduate of Miller Hawkins Business College. She retired from Wal-Mart Vision Center after 25 years of service and continued to work dutifully as a care giver for Support Solutions of the Mid-South. Doris was a lover of her family and community. She believed in helping all of those she could reach and reaching all of those she could help. She served on countless city and county boards and organizations doing all she could to make Grand Junction, TN and Hardeman County a better place to live. Doris confessed Christ at an early age at Pleasant Grove Baptist Church. Throughout her years, she served faithfully as member of Pleasant Grove MB Church, Zion Temple COGIC, ROLIM, New Visions Ministry and New Victory Baptist Church. In the church community, she was known for her hard work and dedication in spreading the love of God and was well- known for her ability to keep the program moving as she was often called upon to “MC” numerous programs throughout the area. Doris was loved by many and was affectionately known as Mother Godwin. Doris was united in marriage to Timothy Smith and later to the late Earl Dean Godwin. Derrick (Catina) Hunt, and Jarvis “Darnell” Poplar; nine grandchildren, Latoria Macon, Cieara Hunt, Destiny Smith, Christian Lancaster, Dedrick Hunt, Anterrica Pugh, Jarvis Poplar Jr., CJ Hill, and Sinceree Poplar; one great grand- child, London Howsier; sister in love, Mary McKinnie; special cousin, Evan (Glennie) Stephens; nieces and nephews, Debra, Keith, Carla, Kenneth, Vickie, Cynthia, Laura, Peter, Rodney, Cassandra, LaChena, Johneen, and David, and a host of cousins and friends. Special thanks to her niece, Katrina (Willie) McKinnie.